Dental insurance coverage is important and essential for any individual, especially in times when we least need to be covered in debt. Dental insurance – as opposed to popular belief that it only covers teeth accidents – is actually “all-in” when it comes to covering almost every known dental procedure, even preventative roundups. Full coverage dental insurance can be quite tricky to find, especially nowadays when more and more insurance providers are leaning on hiding coverage options for major or expensive dental treatments and procedures. Do be advised that there is a yearly limit to the number of visits for a particular preventive treatment/examination your coverage will insure. Unless otherwise stipulated in the contract, the patient is insured only for a maximum of two dental examinations per year. Any subsequent (or third) visit for the same checkup procedure and the patient will have to pay out of his pocket. 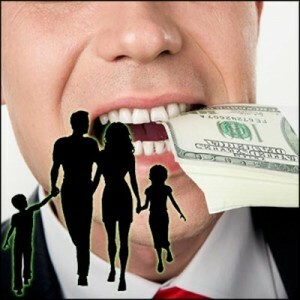 In 2010, only half of the US populations have signed up/renewed their dental insurance, primarily because of layoffs and the cumulative effects of the trending disinterest of Americans to renew a good number of their yearly subscriptions to cut back on costs. And who can blame the frustrated people who did not renew their contracts – a lot of insurance providers aren’t giving subscribers their premium’s worth. Even if the yearly benefits can accumulate to $1,500 per person, limited coverage and not to mention high monthly costs cannot pacify the qualms of irritated subscribers. But like it or not, dental insurance is a godsend for those who need it – and the competition between insurers is healthy for people aching for amenable coverage rates. Affordable dental plans and discounted dental insurance packages are also available for college students and breadwinners with dependents. Additionally, the disabled, war veterans, and other eligible citizens should avail of Medicaid – a known health program initiated by the United States in 1965 via the Social Security Act. For business owners – more likely those hit by the recession – who want to cut down on expenditures but don’t feel comfortable risking their employees’ benefits, self-funded dental insurance plans allow employers and employees to come into a mutual agreement of choosing the latter’s preferred insurer. Individual employees are entitled to choose the dentist of their choice. This can save the company thousands of dollars from being tied to only one insurer, with not even half of the employee population even going to the insurer’s network of dentists. What makes toothpaste so effective? © Copyright 1996 -2019. NewYorkDentist.com, All rights reserved.